I love breakfast bagel sandwiches. 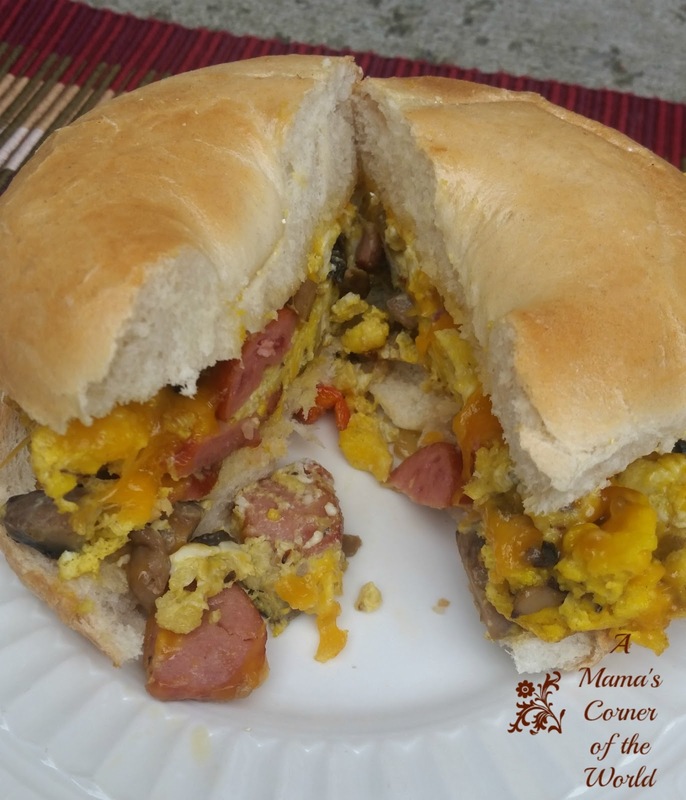 Over the years, we have created many variations of breakfast sandwiches as new spice and seasoning blends enter our kitchen. 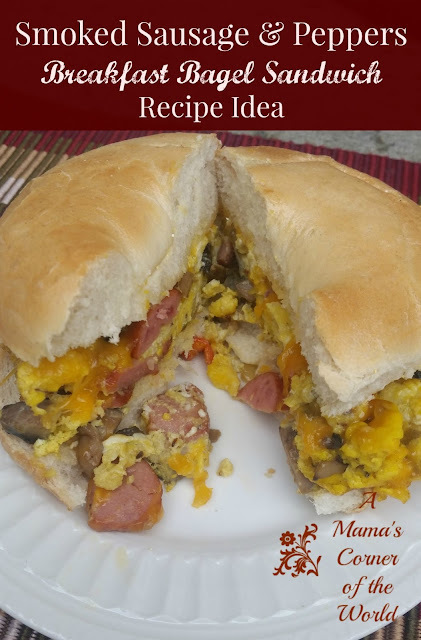 This weekend, I took advantage of plain, bakery bagels, some leftover mini peppers and mushrooms--and smoked sausage--to create my latest favorite breakfast bagel sandwich. What is my recipe for Smoked Sausage & Peppers Breakfast Bagels?